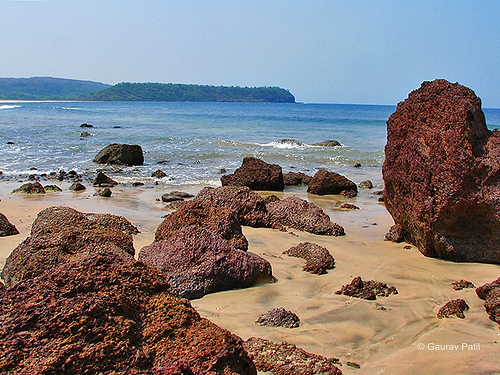 Ganeshgule Beach is a small beach village in RATNAGIRI district, very close from the town called PAWAS. 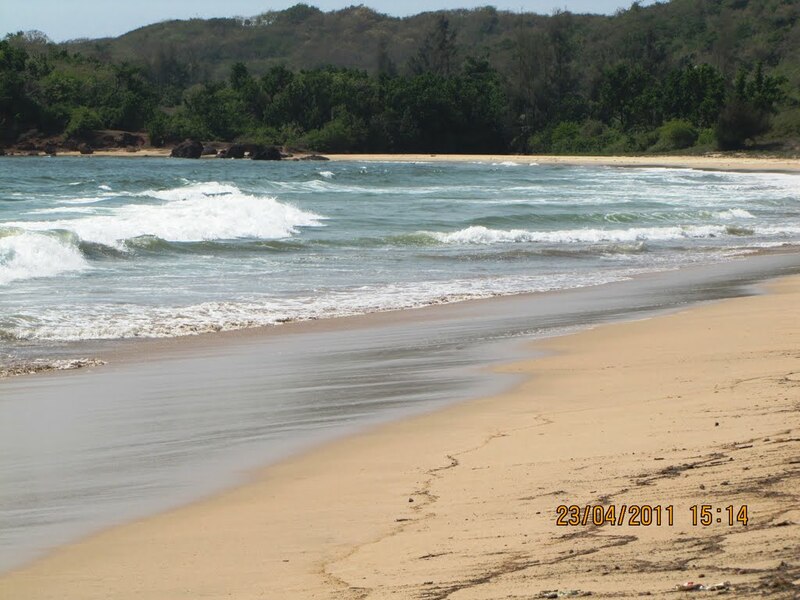 The village has got 1 to 1 ½ mile seashore and the small, typical Konkani houses are right next to the beach. Ratnagiri disctrict is also famous for "alphonso mangoes" and one can see mango tree spread over acres around the village. 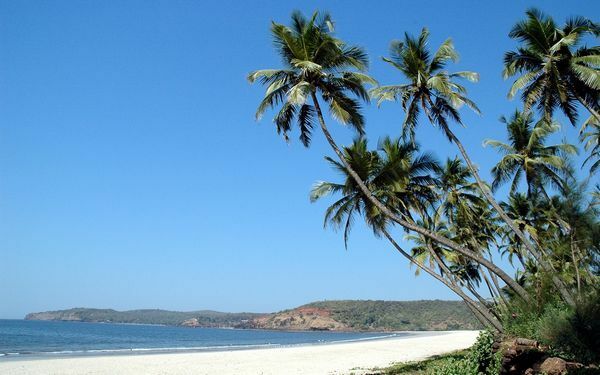 Also coconut plantation is very common in this region and the beach's border is lined with the tall trees. From the beach we can see UTAMBER & HARNE which are the 2 villages on either sides of the beach. It is an extremely secluded, clean, beautiful virgin beach, however, it is right to take information from local people if one wants to go swimming. This area is also known for the "Ganeshgule Temple". The temple is situated on a hill near the beach. 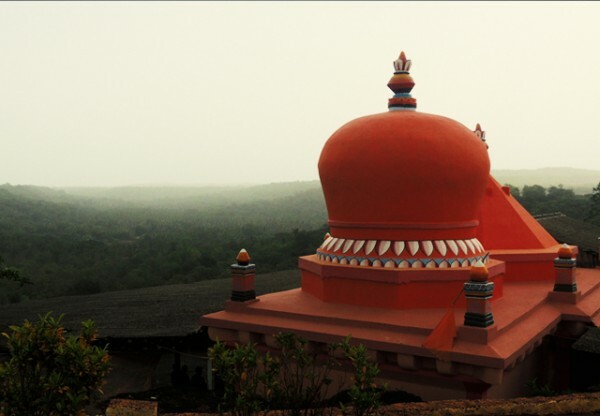 It is said that this temple is older than the "Ganapatipule temple", which is also a popular tourist destination in KONKAN. The folklore is that the Ganesha Idol in the temple is "Swayambhu" (i.e. formed naturally). Trunk of the Ganesha in this temple is towards the west. An ancient well from supposedly the Pandava era is near the temple, which is failry deep but there are steps to reach the bottom. Rantagiri has many luxury as well as budget hotels. Pawas also has guest houses and bed-n-breakfasts. Also, local people offer very tasty Konkani food for tourists at reasonable price. Nearest Railway Station is nivsar and ratnagiri. 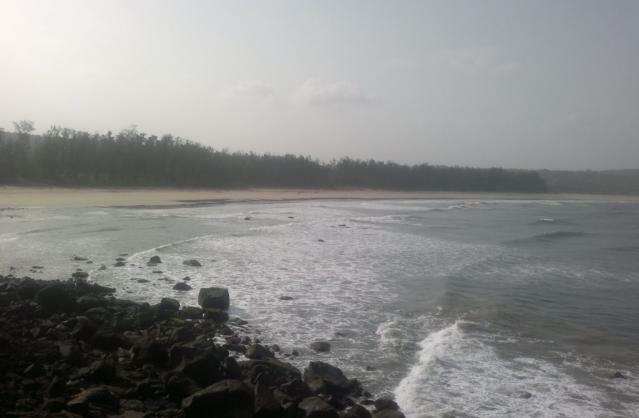 Mumbai to Ratnagiri on the National Highway 17 is 6-7 hour drive for a distance of 360 kms. Ganeshgule is 25 kms from Ratnagiri on the way to Devgad via Pawas. Once Pawas is gone by, take the first right turn. Althought there is board which says "Ganeshgule", it is easy to identify this road because it is narrow path on a wide open ground. Once passed through the open area the road broadens and goes uphill for the next 3-4 kms. Once halfway down the hill, the road breaks into 2 ways. The one on the left is straight for the beach and the Ganeshgule village about 1 km. The one on the right again goes uphill towards the Ganeshgule temple which is about 2 kms from there.